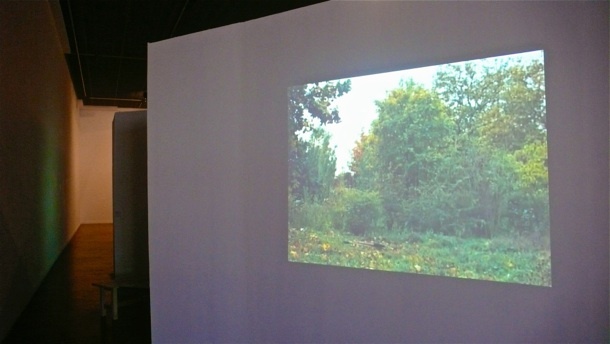 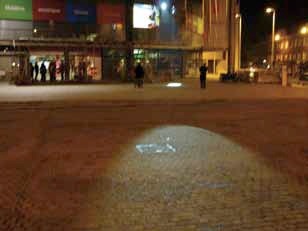 The installation Shine offers a reflection on the public place. 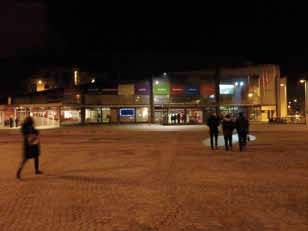 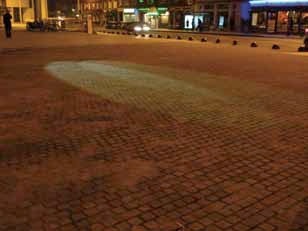 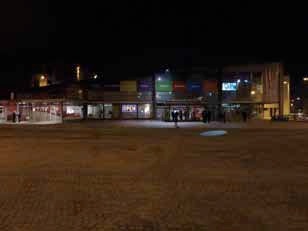 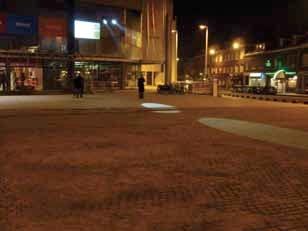 Once night has fallen, two circles of light sweep across the esplanade in front of the Maison de la Culture in Amiens. 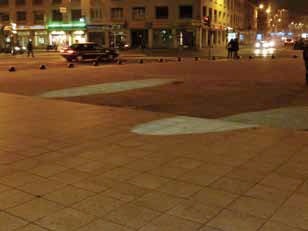 Moving at changing speeds, these two circles peer into the place, lighting up a few passers-by crossing the square. 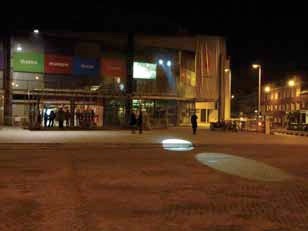 They conjure up both the spotlights you find in prison yards, and those found at certain borders, as well as the “follow spots” on theatre stages which isolate actors and singers by precisely following their movements. 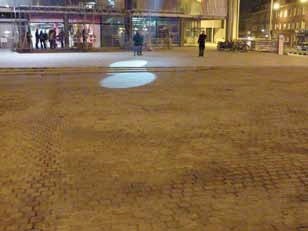 Taking as his object a space where trajectories intersect and people meet one another, Nasan Tur invites the imaginations of anonymous passers-by to temporarily share the experience of being in the (lime)light.